He was one of those rare human beings that gave you hope. That gave you reason to believe in genuine goodness. That made you proud to be a member of the same species. If there is a Creator, He got it right with Judge Cardona. Following a yearlong illness, Anthony Cardona ("Tony" to all who knew him) passed away this past Sunday. The Presiding Justice of New York State's intermediate appeals court in Albany--the Appellate Division, Third Department--he was beloved. Beloved as in deeply loved and greatly admired by everyone one who knew him. I'm not sure if anything was ever said about Judge Cardona that wasn't accompanied by mention of how wonderful he was. How warm and kind and sweet and generous and compassionate and--well how much everyone just loved him. Not official, formal announcements. But sincere, heartfelt, candid, affectionate reflections about a man who was truly cherished. Yes, he was a great judge and administrator. He was a jurist whose judicial opinions, as well as countless others he helped forge, fill the numerous volumes that record the work of his court from 1993 to 2011. And he was the head of that same court, leading it for an 18 year period of prominence, distinction, influence, and respect throughout the bench and bar. Yes, he was surely that. But, beyond that--and to those who worked with him or otherwise knew him, even more than that--was his great humanity. You just felt good when you were in his presence. However happy and fortunate you were to see him, to say hello, to shake his hand, to give him a hug, he always seemed happier and more fortunate. Yes, a very rare, especially wonderful human being, who gave you hope in genuine goodness. I've often spoken in this blog about how revealing it is to "connect the dots." So let's do that. Let's listen to what others have said about Judge Cardona. Chief Judge Lippman, former Chief Judge Kaye, Acting Presiding Justice Mercure, Clerk of the Court Novack, among others. Some of what follows was written almost two years ago, when the Albany Law Review dedicated to Judge Cardona its inaugural special issue, now entitled the The Anthony V. Cardona Annual Issue of New York Appeals. Others are statements made on the news of his death. But, whatever the source, note the common theme about this great man, this magnificent specimen of a human being. Connect the dots. Despite all of his professional accomplishments and his lofty status in the New York State Judiciary, Anthony Cardona is not someone to take himself too seriously. He remains humble and down to earth, kind and considerate to all, and has an abiding interest and love for people of every kind. He is proud of his Italian heritage, and so very proud of this country and his service to her as a naval officer in the Vietnam War. When it comes to doing the right thing for the judiciary and the public of this state, he is as passionate as I anyone I know, and very much has the courage of his convictions. And when it comes to friendship, you would be hard-pressed to find a warmer, more loyal or more caring friend--I am so grateful to him for his friendship, loyalty and support for more than twenty years. His overwhelming quality was his personal goodness, kindness and caring. He was a marvelously learned and astute judge and a warm human being at his core. That's the perfect combination that yields justice. First and foremost, the PJ keeps his focus on the fact that there are real human beings whose lives are impacted both by the decisions that the court makes and the manner in which the court functions. He never forgets that with each case and administrative question, real people are at the end of every decision he makes. Despite all of his many accomplishments, both as a wise judge and an able administrator, I am impressed most by the fact that he is a man of simple values who is guided by certain uncomplicated principles. Among these are family, fairness, respect for the law, courtesy towards all, and just a plain sense of what is right and what isn't. I know for a fact that he lives by and practices these values and principles every day, and that is what makes him a great judge, a person of character, and an example to all those around him. He is always eager to remind us that behind all the records and briefs, beneath all the legal argument and paperwork, there are real human beings whose lives may be profoundly and intimately impacted by the decisions which the court renders. In the same vein, he never hesitates to share with others the simple adage taught to him by his father: “Work hard, treat others fairly, and the rest will take care of itself.” Those who know Presiding Justice Cardona understand that he has always followed his father's wise advice and, by his actions, he constantly tries to convince others of its plain yet profound wisdom. I say he reminds me of my mother . . . . Everybody has to sit down and have something to eat, and nobody can go to bed mad . . . the atmosphere in the court is cooperation, not antagonism, which is not always the case in appellate courts. I love going up to Albany and being part of the decision making process, part of the conferencing of these cases. Working in the court system is our job and we love it, but we look at it as our employer. Tony had a different perspective. He had a true affection for the court system. He knew everybody. He touched everybody. 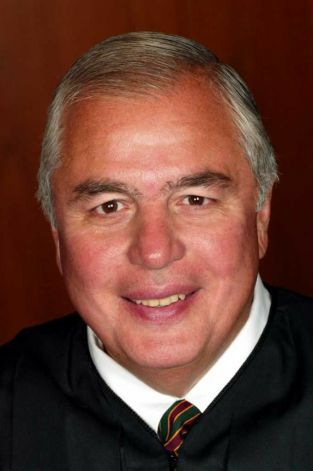 When the Judge speaks of family...his definition embraces his colleagues and friends in the court system as well, including those of us fortunate enough to have worked beside him at the Appellate Division, Third Department, or here in chambers. He is a man who would apologize to staff for letting us down on the very few occasions he was out of the office for illness. Of course, in contrast, if any one of us or our family members were ill or in distress, the first words out of the Judge's mouth would immediately be: “Go and do what you have to do, we will take care of what needs to be done here. Although his reputation as a compassionate, friendly, and supportive judge and Albany Law School alumnus precedes him, he always seems to exceed our expectations. When we first spoke with Justice Cardona and explained that we would be honored to dedicate this issue to him, his expression of gratitude was both sincere and heartfelt. But after three years of law school, we have come to realize that it is we who owe him the thank you. Justice Cardona is a true friend to the Albany Law School community who we now know as much for his compassion, warmth, and wit as we do for his status as a dedicated public servant. Genuinely interested in our success, he always offers a kind word of encouragement or piece of advice contributing to our growth as students, lawyers, and, most importantly, people. What a wonderful, cherished human being. All of us who were touched by him are devastated that we've lost him. The world is not nearly so good without him. To be truer to the hope and optimism he gave to all of us, however, let's remember that it's a much better world--we're all much better--for having him with us for a while.